AWES Notification 2018.Army Welfare Education Society (AWES) has released a notification for Combined Selection Screening Examination 2018 for the post of teachers at Army Public Schools. 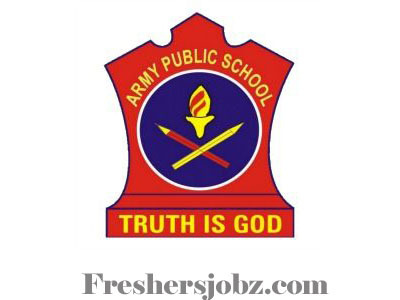 There are 137 Army Public Schools (APS) located in various Cantonments and Military Stations across India.Check the eligiblity and notification prior to apply for the positions. PGT: English, Hindi, History, Geography, Economics, Political Science, Maths, Physics, Chemistry, Biology, Biotech, Psychology, Commerce, Computer Science Informatics, Home Science, Physical Education. TGT: English, Hindi, Sanskrit, History, Geography, Political Science, Maths, Physics, Chemistry, Biology. Qualification: Graduation, Post Graduation, B Ed/ Two year Diploma, B.El.Ed, qualified in CTET/ TET. Selection Procedure: Based on Screening Exam, Interview, Evaluation of Teaching skills and computer proficiency. Age (As on 01.04.2019): Below 40 years. Last date for online registration: 24.10.2018. Date of Exam: 17, 18.11.2018.